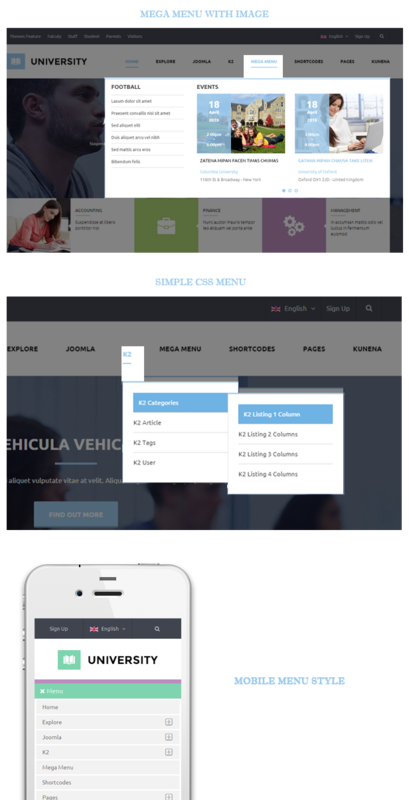 SJ University II is a stunning educational Joomla Theme. With K2 and Kunena supported, it is perfect for school, collage, university, institute or training center. The template is enhanced with YT Framework v3, comes with 6 beautiful color styles. 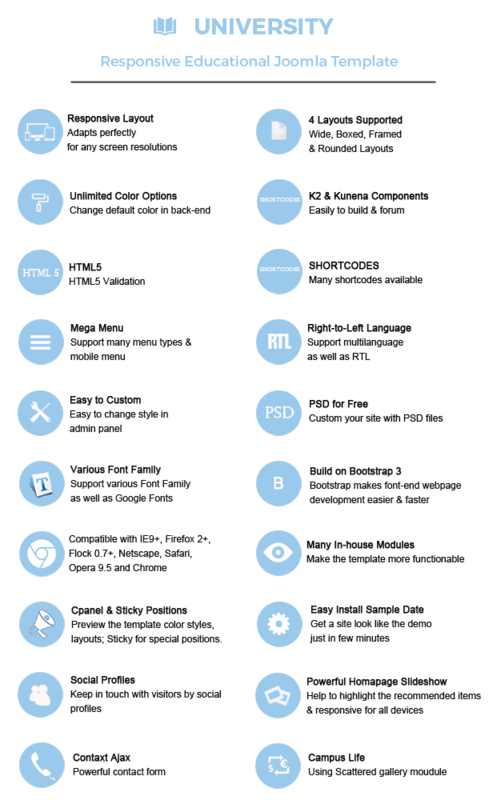 SJ University II supports a dozen of useful shortcodes as well as awesome Google Fonts, bonus pages. You can easily set up an education website just in few minutes. Let's explore this eyes-catching template now! 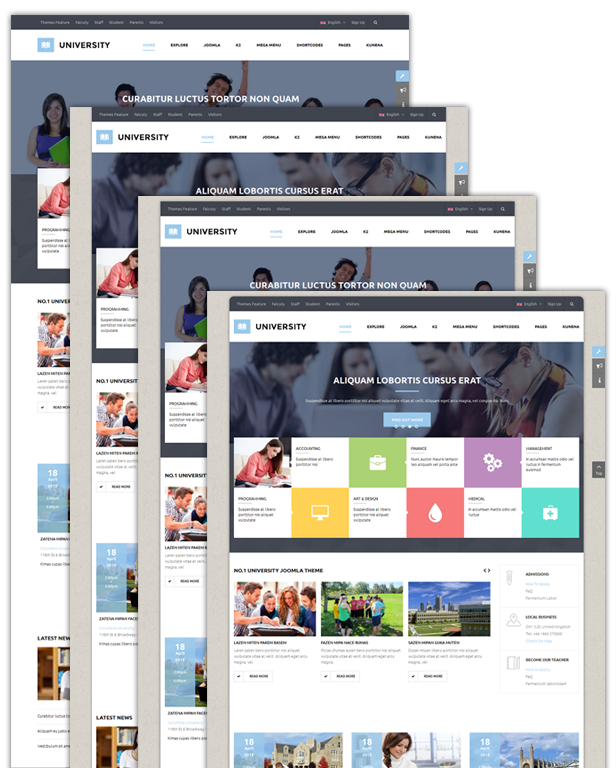 University II is built with new web technologies: Bootstrap 3, Awesome Google Font, LESS, CSS3, HTML5 that makes it more powerful and flexible. Your website will have a great look on any devices: PC, mobile, ipad... or any screen resolutions. 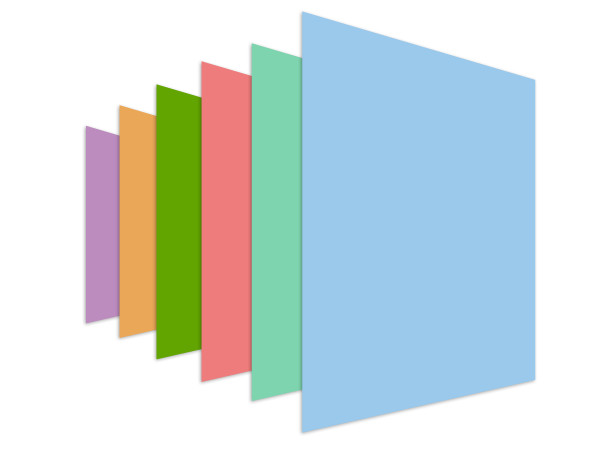 As mentioned, University II supports for Wide, Boxed, Framed and Rounded layouts. This template is available with 6 color styles: Blue, Cyan, Red, Green, Caro and Violet. 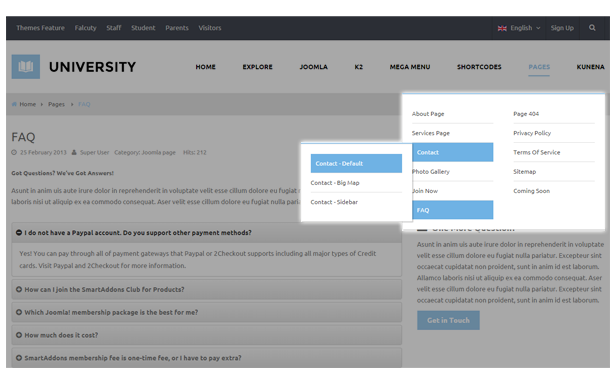 Besides, it allows you to fully customize color schemes in back-end. University II is equipped with SJ Scattered Gallery for K2 module - an attractive Responsive Joomla Module for image displaying with smooth effects. You will get rid of all compability problems with K2 and Kunena supported. Comes with a lot of cutting-edge features, the template also gives you over 17 bonus pages which are really useful for your work.